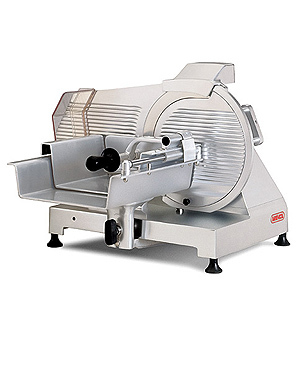 Models CB, GF and CF: gravity fed food slicers: designed to cater for a variety of slicing requirements. Each model is engineered for reliability, ease of use and cleaning. 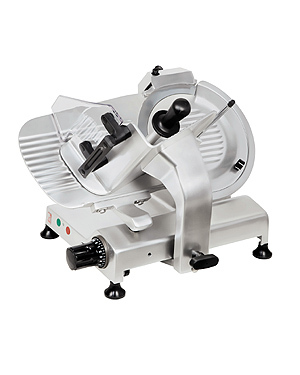 Models TG: vertical blade slicers: are ideal for fresh meat and perfect to obtain consistent and even slices, in particular with products such as Parma ham and bacon. Belt driven transmission: models GF, CB and TG. Heavy-duty gear driven transmission: models CF. Fully silent, high precision machines with smooth sliding trolleys. 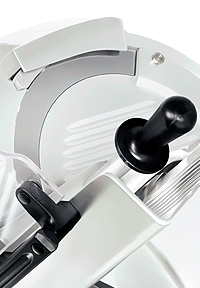 The quality of the blades guarantee perfect slicing. 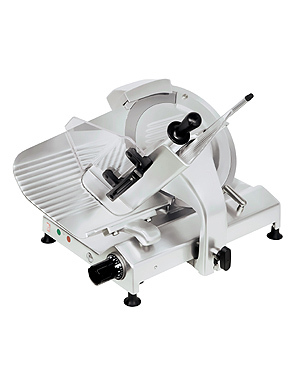 With an incorporated double action sharpener: to sharpen and hone slicing.